An emergency can be regarded as a situation calling for drastic measures. Any roof that has suffered damage as a result of heavy rains, storms, hail etc can be classified for this kind of a repair. The roof is one of most important parts of any building. Any damage to the roof will directly affect the strength of the entire house structure and consequently, calls for prompt action. Often its a severe weather condition that is the cause for emergency roof repair. However, care must be taken when making the decision to begin the repair. Although you may attempt to do it by yourself, it is recommended you employ the service of an expert in situations where emergency repair is necessary. Be patient till the severe weather conditions have passed and the situation is favorable before starting the repair as you may be doing more damage than repair. Control the spread of the water seeping in. If not, it will damage belongings and can also be a source for further damage to the roof. Get rid of any puddles of water or stagnant water formation from the roof. This can be a major cause of roof damage. Locate the precise leak source. At times, the leak is actually at another occasion from where the internal inspection indicates. Use a suitable material to block the leak based on the roof type and material used to construct it. Several materials are used for emergency roof repairs. These includes: rubber sheets, duct tape patches, tarps and sealants. These materials act as stop gap, arrangements of a permanent repair can be made at a later time by a professional roofer. Clean the area around the leak and then apply the patch. The debris, dirt and water around the leak will weaken the emergency patch thereby reducing its effectiveness. In case of roofs that require hammer or nail work, make sure the tools are secure to the person attempting the repair. As they can slide off and cause additional damage. Conclusively, care must be taken to ensure that there is no unattached part of the roof such as a asphalt, shingle or a strip of wood/iron lying around loosely while the repair is on. The windy condition can cause it to strike the repair person. By adhering to all the above points, the life of your roof will surely be extended. When building a new extension one of the many considerations is how we can ensure that the area will benefit from a good amount of natural light! We have all been in the situation where a friend has had their home extended to facilitate a new kitchen or living area. Normally the price for such modifications is high and people will go to great lengths to ensure that the new room is just right, often opting for the best fixtures and fittings they can afford the best tiles, paints, flat roof covering etc. Then comes the inevitable, “it’s a lovely room but a bit dark” the new room which was built to improve people’s lives turns out to be not so perfect after all. Regal Rooflines are delighted to announce their latest product Roof Lights which are also referred to as Skylights, Roof Lights will allow the natural light to pour into your home, the look of your flat roof will be improved as these high-end architectural roof lights give a contemporary feel to your property. There are four main types of Roof Light, Fixed, Hinged, Smoke Vent and Pyramid, at Regal Rooflines we are able assist you in choosing the correct Roof Light ensuring it fits the look and feel of your property, Roof Lights are manufactured to your size and specification. Fixed Roof Lights are a stunning addition to modern and age old properties alike flooding natural light into any room. We can make fixed roof lights in any shape and size and will work with you or architects to delivery any job required. We offer four types of hinged roof light depending on its use. We offer manual or electric-powered roof light which are ideal for ventilation. The manual roof lights or sky lights are adjusted with a screw jack and pole mechanism. We fit smoke vent Roof Lights to all buildings, complying with standard regulations, our smoke vent roof lights open automatically when the fire alarm is triggered complying with BS EN 12101-2. A modern take on the tradition lantern roof design, our pyramid roof lights offer a contemporary feel and a stunning visual appearance. Available in many shapes including square. Regal Rooflines have been trading for 20 years and boast a team of highly skilled professional craftsmen each installation is carried out in a tidy and timely fashion and testimonials are available upon request. Communication is an important element of our business as such you will be kept up to date with the progress of your new Roof Light installation. Quotes are fully itemised and we employ no high-pressure tactics. Contact Regal Rooflines Roofers In Ashford Kent to discuss your new contemporary Roof Light today. 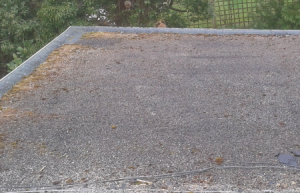 Fibreglass Flat Roofs Or Felt Flat Roofing? Fibreglass Flat Roofs or Felt Flat Roofing? What’s The Difference? 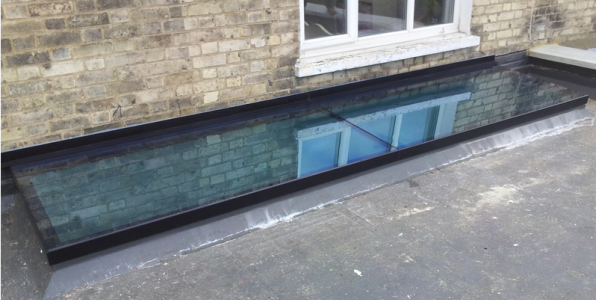 Fibreglass Flat roofing is a practical and reliable solution that addresses the age-old problem of ensuring your flat roof remains leak free. Traditionally the only type of flat roofing has been Felt which is notoriously susceptible to cracking and leaking the main reason for this is the fact that felt flat roofs need to be joined these joins effectively create areas of weakness in the flat roof allowing water to find its way in. The wooden frame is likely to become waterlogged. It simply requires a small gap for the water to penetrate the roof, as soon as this occurs; the roof encounters an inevitable drop in effectiveness and stability. When the supporting wood frame soaks up moisture it begins to crack, stretch, twist and warp. This normally results in tears becoming more severe, allowing more moisture to find its way into the wood, the ultimate consequence is commonly mildew and fungal growth this will be relatively widespread before it will be noticeable within the building or home itself. This can signify a real health threat. 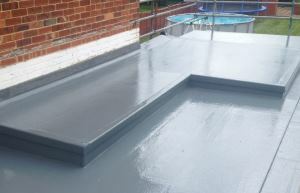 Fibreglass flat roofing does not crack or blister in the British sun, or leak in our winter this is because it is a one piece installation with absolutely no joins or links fibreglass flat roofs never warp, stretch, twist or crack. 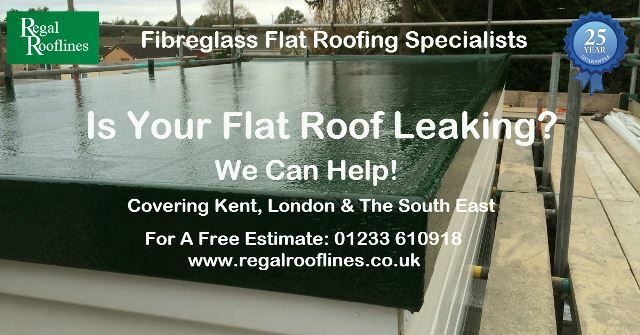 Fibreglasss roofing fundamentally does not support the growth of mildew or moss, and when installed properly will guarantee 100% immediate water drainage Fiberglass flat roofing assures a completely waterproof home, meaning your home and family will stay dry . Fibreglass flat roofing can be used for car ports, garages extensions, sheds or practically any other building; taking into consideration the numerous benefits of fiberglass flat roofing it makes sense to consider this versatile roof covering. Read more about our fibreglass flat roofing solutions. 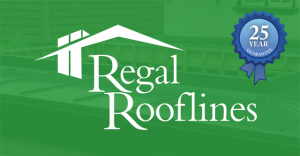 https://www.regalrooflines.co.uk/wp-content/uploads/2017/09/Regal-Rooflines-Green-Logo.png 0 0 Danny Hodges https://www.regalrooflines.co.uk/wp-content/uploads/2017/09/Regal-Rooflines-Green-Logo.png Danny Hodges2015-07-31 21:35:422017-09-21 11:47:30Fibreglass Flat Roofs Or Felt Flat Roofing? Roof tiles are produced from clay or concrete and sometimes covered with a finish of paint. Or they may be textured with a mix of sand and paint this finish is called sand faced. Generally these types of tiles are single overlap, which means the tile above and to the side overlaps it one at a time, the tile then interlocks with the tile next to it to produce a waterproof join. Replacing a roof tile that is broken or cracked is essential to avoid roof leaks and ultimately ceiling damage. One crucial hint when changing any damaged tile is to try to find a colour match if possible. Generally a reliable roofing merchant will stock many types of reclamation tiles, slates and painted slates, finding the perfect replacement tile can be complicated due to the varying degrees of weathering the reclamation tile may have been subjected to. Once in possession of the correct tile and provided you do not want to hire an expert, you can replace the tile yourself. All you need at first is a decent ladder below is a guide to help you on your way. Firstly be aware that there are a variety of different roof tiles available on the market therefore, you must make sure you have the right replacement tile that is exactly the same material and colour as the broken tile otherwise, it may be useless and can lead to additional damage to your roof. If you don’t know what type it is, take a piece of broken tile with you to a roofing merchant. They should be able to match it to suit your needs. Get onto the roof. Only climb a ladder when you know the ladder is adequately secured, this is especially important when working on a roof that is slippery or has a steep incline. If you are unsure about how safe it is to get on the roof, contact an expert. Once on the roof slightly raise the tiles that overlap the one to be removed. This can be performed by using two (2) pieces of wood to hold them up. Use a brick trowel to raise the damaged tile over the baton underneath then slide the damaged tile down and remove. Place your newly-obtained tile onto the brick trowel. Then reverse the procedure followed in removing the tile. Make sure you securely position the overlapping tiles back into place. Ensure the tile is safely inserted and is not interfering with any other tiles around it. Unless you are in a very windy area, the tile does not need to be wired or nailed into place. Once again check that all tiles are sitting correctly. Check the rest of the roof for any areas that look likely to be damaged. It is recommended that you understand how well the rest of the roof is holding up in case any other tiles require changing. For security reasons, it is important to wear gloves and use a roofing ladder, which hooks onto the ridge or peak of the roof. Never attempt to make unsteady movements on the ladder as you may slip, always make sure that someone holds the ladder steady for you. Any good roofing contractor should be able to supply clients with a list of previous job references including name, address, and telephone number, once in possession of this information take the time to make contact, if it’s a genuine reference the previous customer should not mind.